Otis grew up in the Watts neighborhood of Los Angeles. In the years after the 1965 rebellion there, two visual artists opened an arts center in the nearby Watts Towers. Otis took art and theater classes there, and as a Williams student he continued to take studio art classes and perform in theatrical productions. He majored in economics and political science and went into the business world after graduation. Today, their collection consists of more than 120 paintings by African-American artists and artists from the African diaspora. Most of those works were painted after World War II, “some of it right up to today,” Otis says. While pieces from their collection have an impact on museums around the country when they travel on loan, Otis and Bradley recently decided to make a more permanent impact on the collection at the Williams College Museum of Art (WCMA) through a monetary gift earmarked exclusively for acquisitions. The gift affirms the museum’s commitment to diversity and equity across its program and collecting. “We want to show the breadth of artists who made great works of art in the past and present,” Says WCMA’s outgoing director, Christina Olsen. “This gift allows us to deepen our holdings of African American art.” The museum has already begun to do just that, acquiring several ambitious works of art by renowned African American artists. 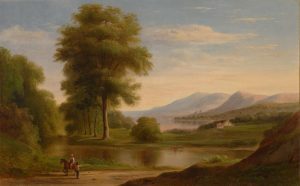 AN OIL ON CANVAS BY ROBERT SELDEN DUNCANSON, A MEMBER OF THE HUDSON RIVER SCHOOL, IS WCMA’S FIRST ACQUISITION BY AN AFRICAN-AMERICAN ARTIST WORKING IN THE 19TH CENTURY. Yet Duncanson was “basically written out of history,” Otis says. The Duncanson piece is the museum’s first acquisition by an African-American artist working in the 19th century. 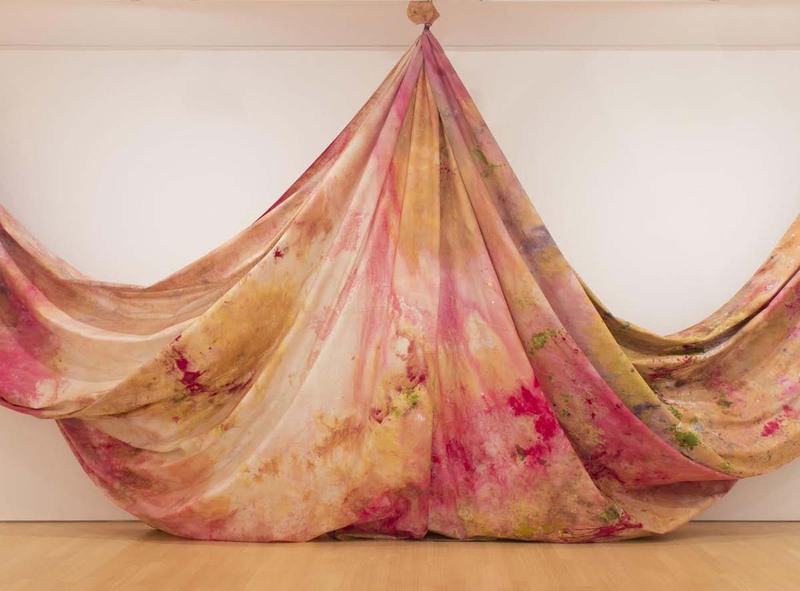 “SITUATION VI – PISCES 4,” A DRAPE PAINTING BY SAM GILLIAM, WILL BE ON VIEW IN MARCH 2018. A third piece, which will also be on view starting in March, is Walking, a sculpture made of 148 two-foot-high bundles of wire rope strands, by Maren Hassinger. Hassinger’s early work, a brief foray into printmaking, can still be found in Otis and Bradley’s private collection. Otis places the Hassinger piece in conversation with Eyes, the permanent sculpture by Louise Bourgeois whose elements can be found on the grounds surrounding the museum. “We’ve always been impressed with WCMA’s efforts to be inclusive,” Otis says, “and they’ve had great shows over the years.” Now he hopes those efforts are reinforced with these—and other—new acquisitions.